URM Stores, Inc. of Spokane, Washington services over 1,000 customers with sales of over $1 billion. It is an American retailers’ cooperative serving independent supermarkets in Idaho, Montana, Oregon, and Washington. The company operates a central warehouse with over 650,000 square feet with six Cash & Carrys, which provide stores, restaurants and similar business operations with a full selection of grocery, food service, frozen foods and perishable products. URM™ Stores Inc. was founded in 1921 when five retailers banded together to form the corporation. Today, URM Stores Inc. holds 25,000 SKUs plus 20,000 seasonal items, which is managed by 16 buyers. To meet its future performance goals, it was essential for URM to find a solution that could solve their burdensome manual workload and ensure a more accurate forecast to manage its perishables in order to reduce spoilage. The Herlitz team is exceptional. Very little IT support was needed on our side and we had an uneventful go live – the benchmark of a successful implementation. 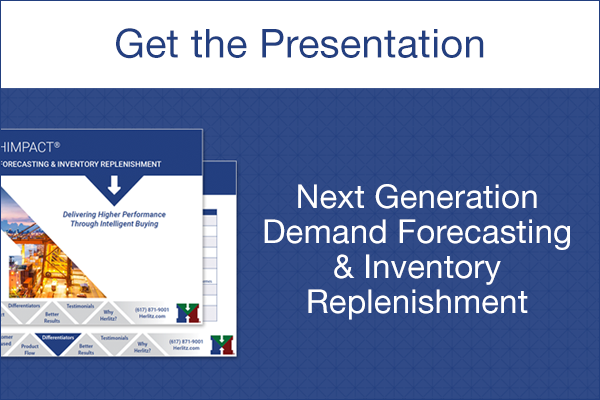 Rich StuberVP of Information Technology, URM Stores, Inc.
URM Stores Inc. was using the legacy E3TRIM forecasting and replenishment solution, which was written by Anders & Carl Herlitz in 1991. Since then, E3 has been sold and Anders’ son, Carl Herlitz, created Herlitz Inventory Management and the HIMPACT solution. URM felt that the E3TRIM solution was an outdated system that had limitations due to older technology. It was no longer able to meet the demands of URM Stores. Since URM runs promotions to different groups of customers, “Ad Groups”, HIMPACT’s ability to do Store/Chain Level Promo Filtering was a sscale-tipping feature. 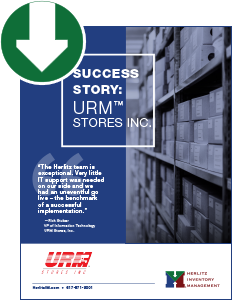 URM Stores Inc. chose HIMPACT because of its low cost, industry expertise, and bottom line improvement. The quick installation and its ability to scale with company growth were also additional benefits HIMPACT offered. Once the decision was made to go with HIMPACT, the Herlitz team converted URM’s data only 2 days after the initial contract was signed. URM’s buyers were trained a month later, and the new solution was completely rolled out shortly after, with TRIM completely shutting down, six months later. URM quickly realized they made an excellent choice. Inventory Levels remained unchanged after adding new customers and they saw an overall increase in sales of about 20%. They also maintained over 98% fill-rate during a critical new customer roll-out. The Herlitz time to e-mail support questions is averaging under 10 minutes, and about 30 mini-enhancements have been put in place because URM requested them. Also, the new solution is very easy to learn and more efficient to use. Of URM’s 16 buyers, 6 were trained by URM themselves since the HIMPACT rollout with a productivity bonus that the training time is half of what it was on their previous solution. E3TRIM is a trademark of JDA Software Group, Inc.